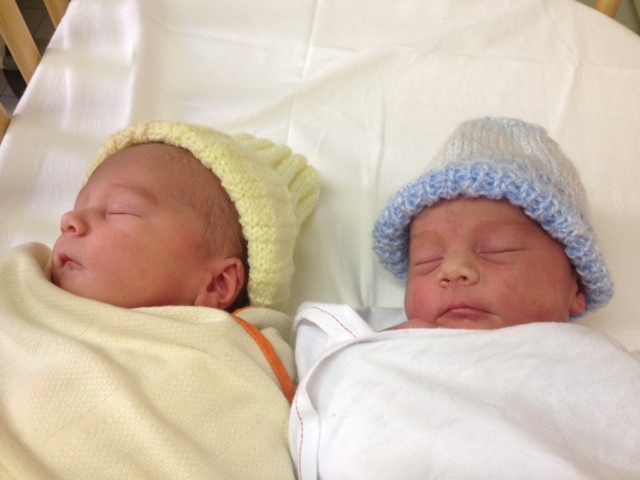 Welcome Noah & Alfie Merton, my 7th & 8th grandchildren, born Easter Sunday morning weighing in at 6lb 13Oz & 7lb 4Oz respectively. By the time they’re 2 yrs old I hope to be able to tell them apart!! Atheists scornfully reproach Christians for believing in ‘special creation’ but cannot begin to explain the ‘miracle’ of development & reproduction which takes place unseen beneath a mother’s skin. The Scriptures declare, and we humbly agree, ‘we are fearfully and wonderfully made’ (Ps 139:14). To celebrate this happy occasion, I redeemed the quaint old song made famous by the now disgraced Rolf Harris – Two Little Boys (1969) – crafting my own words (see below). Hope you like! Each of them learned God’s ways…. We’ll be warriors for Christ alone! And plead with Him in prayer! As God’s glorious kingdom’s grown!